In Yekaterinburg, Yevgeny Roizman’s City Without Drugs Foundation has been engaged in some very questionable practices. But why has there been so little discussion? Russia has no treatment programme for drug addicts; cold turkey is the only way they can kick the habit, either in prison or in rehab centres like Yevgeny Roizman’s City Without Drugs Foundation. But the foundation has been engaged in some very questionable practices. On 30 May, the trial of another employee of Yekaterinburg’s City Without Drugs Foundation began. 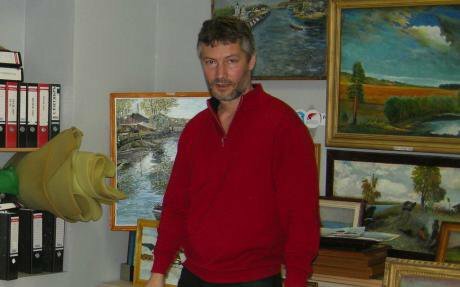 Sergei Kolesnichenko is accused of the unlawful detention of patients; and at the end of last year, his colleague Ilya Shabalin was sentenced to two years and four months imprisonment on the same charge. 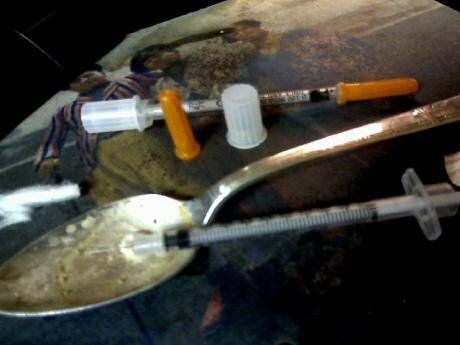 Roizman's City Without Drugs Foundations has won praise, but some question its harsh methods. The vice-president of City Without Drugs, Yevgeny Malenkin, also faced this same charge, but it has been changed to the organisation of the unlawful detention of rehabilitants. His pre-trial detention has been extended until 21 June. Malenkin is also accused of the illegal acquisition and sale of drugs, as well as the illegal acquisition of special technology for obtaining secret information, which investigators believe that he was hiding from them. A year passed between his arrest in absentia and his arrest in person; Malenkin claims that during his period he was on a pilgrimage. The City Without Drugs Foundation has a controversial reputation. It was founded with the support of the ‘Uralmash’ crime family, it does not have a medical licence, and it does not keep verifiable records of its remission rates. It is known for its use of entrapment operations, conducted jointly with law enforcement agencies, to arrest drug dealers, and for its use of handcuffs on the people it is rehabilitating. City Without Drugs was founded by Yevgeny Roizman, current Mayor of Yekaterinburg. City Without Drugs was founded by Yevgeny Roizman, current Mayor of Yekaterinburg, among whose supporters are many who consider themselves members of the (liberal) intellectual elite. As a consequence of this support, there has been not as much serious discussion of the foundation’s activities, as one might have expected. Yevgeny Roizman enjoys this support because he is an advocate of media freedom (and has his own LiveJournal blog), has stood against United Russia in elections, and has visited a picket against the war in Ukraine. He is accessible at any time on his mobile phone, has not surrounded himself with dozens of secretaries and aides, and, last but not least, he writes poetry. Roizman is a popular figure in opposition circles due to his willingness to speak his mind. CC Gaz v pol Roizman and his supporters believe the prosecution of employees of City Without Drugs is politically motivated. In their opinion, this is the state taking revenge on Roizman for his opposition activities. As a result, discussion of the methods used by City Without Drugs is muted; to be judgmental about those who consider themselves victims of political repression is simply in bad taste. Roizman and his supporters believe the prosecution of employees of City Without Drugs is politically motivated. Precisely because of this belief, it became unpopular for people taking part in the protest movement or sympathising with it to discuss, for example, the Stalinism of Sergei Udaltsov or the nationalism of Aleksei Navalny. The persecution of Udaltsov and Navalny only reinforced this view, evoking yet more sympathy for them. Thus, it is not considered acceptable to critically discuss the activities of Yevgeny Roizman, who is seen as a rare example of an independently minded politician. Yet the activities of his City Without Drugs Foundation nevertheless deserve a calm, unemotional, and detailed discussion. There is no contradiction between recognising Roizman’s merits as a politician, and a desire to analyse the more controversial episodes of his public life. But the matter is complicated by the fact that Russia’s media has long been divided in two. One part is concentrated around state-controlled television, where pseudo-documentary films such as ‘Anatomy of a Protest’ explain to viewers, in the best traditions of Soviet propaganda, how ‘national traitors’ are destroying Russia at the behest of the West. The other clusters around the Russian-language section of Facebook and several opposition websites where, should you ask uncomfortable questions of Navalny and Roizman, you risk becoming known as an agent provocateur for the Kremlin. Such a situation – with no middle ground, no respect for facts or constructive criticism – destroys the institution of public checks and balances. Without it, the vulnerable in our population suffer; and drug addicts among them. So, what would a critical discussion of City Without Drugs be about, were there a platform for debate available? One of Roizman’s few opponents who stands on the same side of the political barricades as him (and somebody, therefore, who cannot be suspected of being a Kremlin agent) is human rights activist Lev Levinson, who provides legal assistance to people accused of drug-related offences. He sees a contradiction in the approach taken by Roizman and his foundation – while its centres are called ‘rehabilitative,’ it does not consider drug addicts to be sick. This is one reason why Roizman sees no need for City Without Drugs to acquire medical licences. Roizman's City Without Drugs takes a 'tough love' approach to addicts. ‘But if drug addicts are not sick, then why do they need rehabilitation?’ asks Levinson. Lev Levinson is concerned by the so-called ‘prison effect.’ When drug addicts go for a long time without a fix or appropriate medical treatment – for example, in prison – then upon leaving they may die from an overdose; what would have been a normal fix before is now too much for their body to cope with. The Foundation does not offer rehabilitants any advice about this. Yevgeny Roizman sincerely believes in the effectiveness of his methods, despite the fact that the Foundation does not keep accurate records of its remission rates, and rehabilitants are not systematically monitored after they leave. So it is impossible to know for sure who has died of an overdose and who has survived. Roizman, however, says that he regularly encounters former rehabilitants on the streets of Yekaterinburg, that they appear healthy, and thank him for having saved their lives. Many former rehabilitants now work with the Foundation, which, in Roizman’s opinion, is further proof that he has found the right way to combat drug addiction. It is impossible to know for sure who has died of an overdose and who has survived. Levinson retorts that while coercive methods are acceptable, they need to be strictly regulated. Also, a strong personal motivation on the part of the addict is important; without it, he says, any method is useless. Both Levinson and Roizman cite European research and experience, but draw different conclusions from it. Levinson speaks of the positive effects of decriminalising soft drugs: a rise in the average age of users of heroin and other lethal substances, and a lower death rate and criminal activity. For him, the advantages of decriminalisation are clear, as demonstrated by the examples of Holland, Switzerland, Germany and Spain. Roizman refers to European Cities Against Drugs (ECAID), which he sees as the most powerful anti-drugs organisation in Europe. ECAID , he says, stands opposed to legalisation and decriminalisation, and so actively supports the City Without Drugs Foundation. The Russian representative of ECAID is a well-known figure, particularly for his proposal for issuing licences to journalists who write about drugs and drug policy, so that none of them would popularise the idea of decriminalisation. No licence, no publication. As his plans have not yet come into force, I am able to write this article. 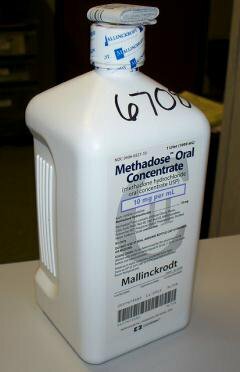 Addicts who have detoxed in prison can lose their tolerance. When they relapse, what was once a 'normal' dose can be lethal. It is open to debate how powerful or influential ECAID is in Western Europe, but the position of its Russian representative is fairly typical. In Russia, both drug users and advocates for decriminalisation have essentially been removed from the public debate. ‘Russia’s drugs control policy is essentially punitive,’ notes Levinson. His main complaint is that it is mainly directed against users, rather than the big drug dealers. Under Russian law, you can be imprisoned for just a few grams of marijuana. 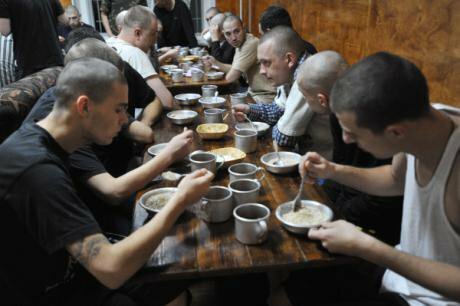 Nearly a third of Russia’s prisoners are behind bars for drug-related offences. The result is that nearly a third of Russia’s prisoners are behind bars for drugs-related offences. We are talking mainly about small street dealers, not influential and dangerous traffickers. In prison, however, they often turn into bigger criminals than they were before. The criminalisation of addicts and the general hard line on drugs, in fact, plays into the hands of the narco barons – the real criminals – who make enormous profits from it. This is the economics of a zero tolerance drugs control policy. Levinson is also concerned that if addicts fall outside the law, they are left without access to treatment. Once out of prison, where they are forced to abstain from drugs, they can die from an overdose. They may also be afraid to tell a doctor about their drugs problem – for it would then have to be reported to the police. As a result, the health of the drug addict deteriorates, and with it the willpower to kick the habit. The City Without Drugs Foundation is, in Levinson’s opinion, just as inhumane towards addicts as the Government. As he points out, the activities of the narcotics police, and police in general, are at least regulated by law, whilst those of Roizman’s Foundation are much more difficult to monitor. Take the entrapment operations that City Without Drugs uses to catch drug dealers; the European Court at Strasbourg has repeatedly condemned this approach. The police and anti-drugs squads at least have to respect court rulings; the Foundation does not. In other words, its activities are useful to the drugs police, as it performs functions with which they can no longer dirty their hands. The criminalisation of addicts and the general hard line on drugs, in fact, plays into the hands of the narco barons. According to Yevgeny Roizman, nearly 6,000 people have been arrested thanks to successful joint operations between the Foundation and law enforcement agencies. That means 6,000 people behind bars, not on the streets selling drugs. The Federal Drug Control Service has been quick to justify its actions, saying that in Crimea there were twice as many addicts as the Russian average, in part due to methadone. A poorly attended picket of patients of the Sevastopol City Psychiatric Hospital (which had abruptly stopped receiving consignments of methadone) attracted little media attention. Soon, one supposes, the pickets will stop – the Federal Drug Control Service is not keen on them. The Crimean addicts who have lost their substitution therapy are no less victims of political pressure than the associates of Yevgeny Roizman who are facing trial. But, there are victims and there are victims….